Provide comfort for the family of Derrol Dennis with a meaningful gesture of sympathy. 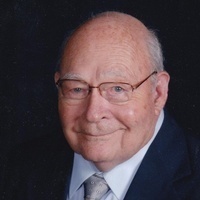 Col. (ret) Derrol LeRoy Dennis, 89, went to be with the Lord, peacefully at his home on February 24, 2019. He was born in Hot Springs, South Dakota and moved to Fontanelle, Iowa as a young boy. He was very active in the Boy Scouts, earning the rank of Eagle Scout. After his high school days he enlisted in the Army and subsequently received an appointment to the United States Military Academy at West Point. He graduated from West Point in 1954 and was married to Evelyn the next day in the West Point chapel. Upon graduation he was commissioned into the United States Air Force. After pilot and navigator training, he ultimately flew B-47 bombers stationed in Lincoln, Nebraska and was on temporary duty in England during the "cold war." Derrol was one of the youngest B-47 aircraft commanders in the Air Force. Derrol had a distinguished 30 year career in the Air Force, achieving the rank of Colonel. His last position was Chief of Pacific Air Force’s Intelligence Command. After his retirement from the Air Force, Derrol joined the Civil Service where he mapped cruise missile targets for the Navy. His career inspired his son Dan, grandson Danny and granddaughter Dorothy to serve their country as well. In a touching ceremony, Derrol was able to commission Danny into the Army at West Point last spring. He was married to Evelyn for 64 years. Derrol is preceded in death by his mother and father, brother George, sister Colleen and his son David. He is survived by his loving wife Evelyn, brother Dewey (Sue), sons; Randall (Becky), Allen and Daniel (Jane), grandchildren; Jason, Jeffery, Hannah, Emily, Danny, Dorothy and step-grandchild Tarek Noriega. There will be a funeral for Derrol on March 9, 2019 at 1 pm at the First United Methodist Church of Clermont, 950 7th St., Clermont , FL 34711. Derrol will be interned at West Point on April 5, 2019. In lieu of flowers, donations can be made to the Kiwanis Club of Clermont (P.O. Box 120114, Clermont, Florida 34712), or a charity of your choice. Donations are being accepted for: Kiwanis Club of Clermont. We encourage you to share your most beloved memories of Derrol here, so that the family and other loved ones can always see it. You can upload cherished photographs, or share your favorite stories, and can even comment on those shared by others.